Happy New Year! I hope you had a happy celebration last January 1. Since it is the beginning of the year, let's talk about Feng Shui. Like you, I also want to know what is in store for me this year. So, let's take a look at who is lucky and unlucky this year. 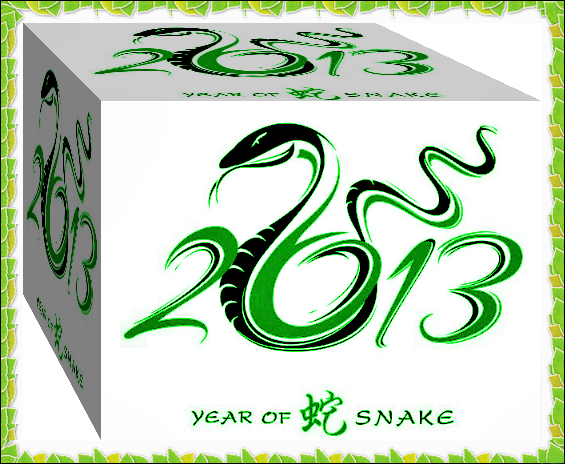 2013 is the year of the water snake according to the Chinese calendar. The Year of the Water Snake will officially begin on February 10, 2013. With the the Tiger, Ox and Horse as the more fortunate signs in terms of wealth. The Dragon will be lucky also in terms of romance and education. Lucky color is emerald green. I'm actually taking horoscope seriously these days coz most of the predictions last year came true... and now everything that I'm anticipating is already happening. I'm a tiger and if you try to look it up online, I will be facing home-related opportunities for January. It's true because my workload and telecommuting job opps have been knocking each day since 2013 kicked off. I'm very thankful. I'm also about to move out to a new relocation. Opps, I was actually referring to my Libra sign. LOL. I was too excited to comment.